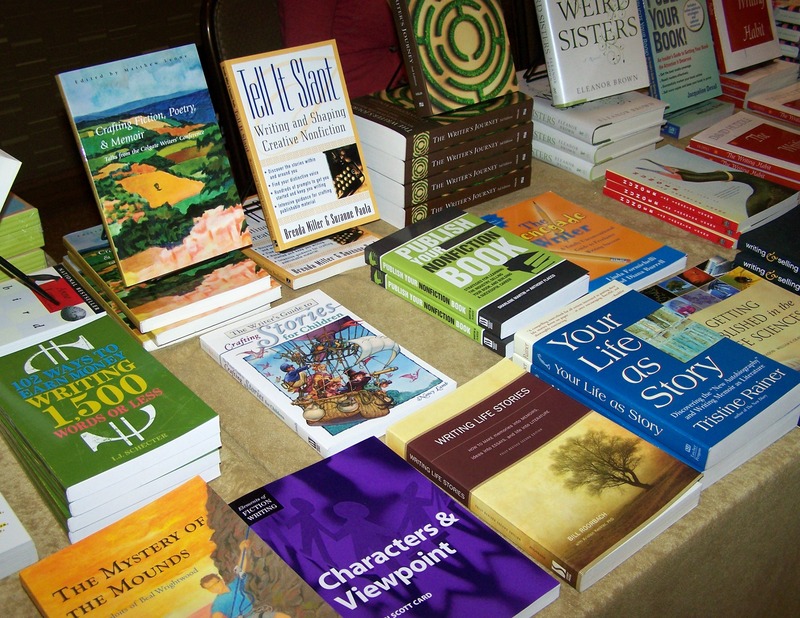 I first heard about the San Diego State University 28th Annual Writers’ Conference from my writing teacher. She talked it up a great deal and said it was one of the best. Of course she was also presenting at the conference, but I went on-line and decided to see for myself what this conference was all about. Their website held a huge amount of information and boasted extremely positive testimonials from prior year conference attendees. Even though I was not finished with my novel, I figured this was an opportunity that was too good to pass up. Plus, I deluded myself into thinking I could finish my novel over the next two months and have a finished manuscript by the start of the conference. One month prior to the conference it became painfully obvious to me that I would never get my novel done in time. Once I accepted this fact, I zeroed in on what I could still do at the conference. I’d have to forgo the well sought after advanced reading appointments, where you submit the first ten pages of your novel to an editor or agent in advance and then at the conference they meet with you to discuss your ten pages. I did have ten pages, but I was afraid of the remote possibility that they would love my work so much, they would want me to send them my finished novel. I didn’t want to take the chance that I’d then have to tell them my book is not done. Instead I opted for consultations, where you still can meet with an agent or editor and tell them about your book but you don’t submit any pages to them, unless they happen to ask. So I came armed to the conference with fancy new business cards, multiple copies of my first 10 pages and copies of my one page synopsis of my entire novel. That was all I did to prepare. The conference instructions made it very clear that a consultation was not a opportunity to pitch your book. I would soon learn that I needed to read between the lines. The night before the conference I was anxious and barely slept. I was relieved to run into my writing class comrades and find out they didn’t sleep either. At least that meant we were all neurotic. Besides these consultation appointments, there were numerous breakout sessions every hour that one could go and hear a speaker. They ranged from tips on crafting your novel, writing techniques, how to get an agent, social media promotion, E-publishing, and self-publishing. The first session I ran into was “Agent 101”. It gave informative tips of the do’s and don’ts of getting an agent. Many of the tips I’ve heard before, others were blatant common sense, and a few were something new. The one thing that I did hear loud and clear, was that if you self-publish your book and don’t sell many copies, you will be blacklisted from the publishing world and never be able to secure an agent. I didn’t realize this new information was simply a scare tactic, and I believed it to be gospel. That is, until I walked into my next session, presented by M. Louisa Locke, titled “Self Publishing – A New Gateway to Being a Successful Author”. In five minutes, I was mesmerized and hooked. Everything I had just heard the hour before about traditional publishing and agents went right out the window. Here was a woman, who has successfully published two E-books and claimed to have earned $24K in sales over the last month selling her book on Amazon. You can bet that my ears perked up. She tried to go the traditional route and work with an agent, but after a couple of years decided she was too old to wait around to get her book published. She took matters into her own hands, and just two years later she is a successful author. She was quite intelligent and that combined with her talented writing skills, surely also contributed to her success. Why would I meet with them at all if I might want to self-publish? Because they give out awards to the top writing submissions. If you are lucky enough to get one of these awards, you can then turn it into a marketing tool, and put that you won the “xyz award” on the cover of your self-published E-book. Or, just maybe its your 61st meeting, and the agent wants to represent you and your manuscript. I would recommend this conference to any writers as a valuable learning experience, way to network with other writers, and the best kind of motivation any writer could ever ask for. Just when you thought you are better off staying with your day-job, you realize you are trying to break into an industry that is turning upside down on its head, and you are there at this crucial time to witness the change and hopefully be a contributor to changing the landscape of writing and publishing for the better.